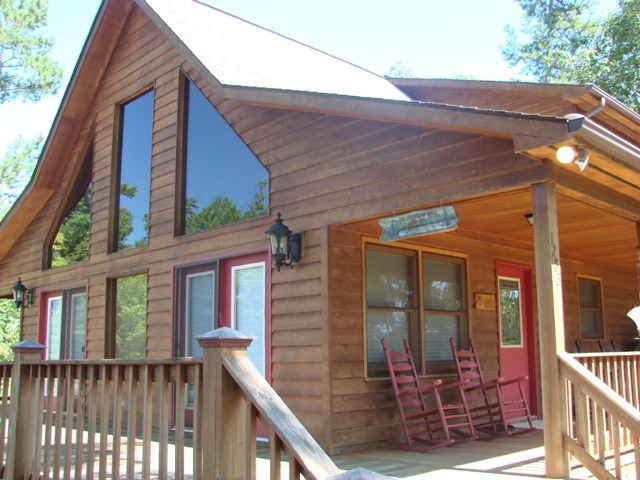 Amazing Lake Views from this Mountain Cabin located in the gated community of Bear Paw Resort. This great lot has a paved drive and plenty of parking for your boat or RV. This home features a wood burning fireplace with gas logs to curl up to and enjoy a good book or watch an old movie. The kitchen appliances, washer and dryer stay with all the furnishings. 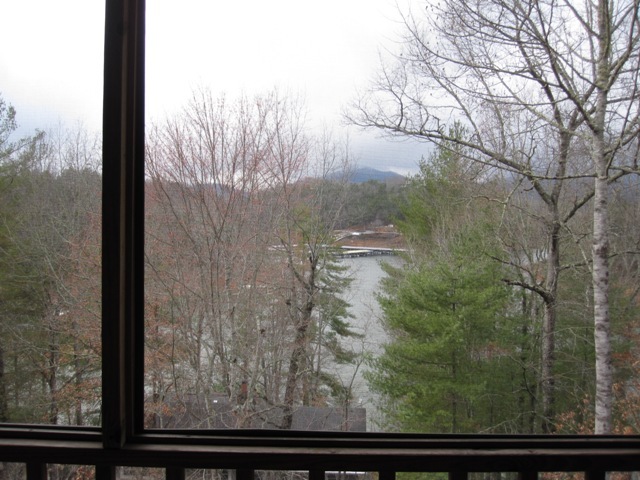 Enjoy the mountain and lake views from the screened in porch. The partially finished basement has a workshop and game room for unlimited options. Call Kathy today to see this great home. 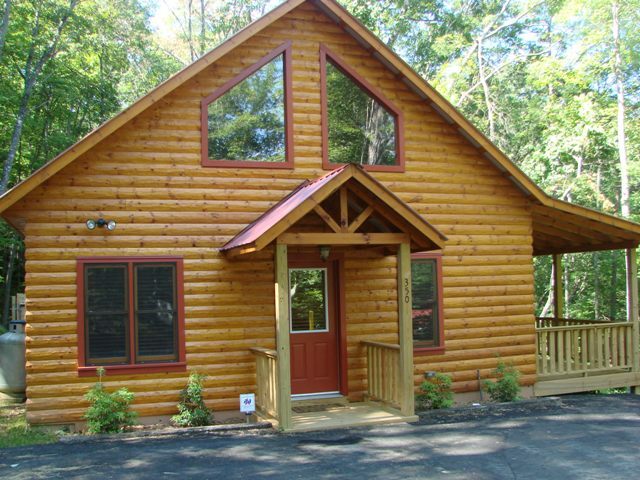 Enjoy the awesome mountain views from this 2 bedroom 2 bath cedar sided cabin. This home offers wood flooring and a gas log fireplace in the living room. Pull up a rocking chair on the deck and let the mountains take your breath away as you gaze upon the beautiful fall colors and all that nature has to offer. Cozy up to the fireplace and chase away the fall chill in the air. You’ll be living on the mountain ridge with the convenience of being just 5 minutes from Murphy, NC. Take the time to see this large custom chalet style home on 2+/- Acres with mountain views. This lovely home has a 2 car attached garage with separate detached 4 car garage. There is a Mother in Law area with one level living and separate entrance. Hardwood floors with carpet in bedrooms, tile in bathrooms. The main floor has a master suite, kitchen, dining area, living room with gas log masonry stone fireplace, and laundry room. The upper level has office, master suite, and bathroom. The mother in law suite has its own kitchen and all the appliances stay. 3 zone heating, Engineers home. Check out this just reduced 2 bedroom 2 bath wood-sided home that is nestled in a wooded setting. This home is located in a quiet subdivision with paved roads. The home features a bonus room being used as a 3rd bedroom, a wood burning fireplace with insert, baseboard heaters, carpet and vinyl. There’s a screened in porch to enjoy the outdoors and a 2 car detached garage. Nestled in the woods is this almost new log sided cabin. This home features 2 bedrooms 2 baths with family room loft area and is in immaculate condition. There are brand new appliances and 3 flat screen tv’s that stay with home. The other furnishings are negotiable. You’ll enjoy living in the country and still be only nine miles to town. REDUCED! !- Commercial Opportunity. Shoal Creek Diner! Here is your chance to Open your own country restaurant. Have your own Pickin & Grinnin Entertainment, fully equipped restaurant, indoor seating and outdoor by the loud roaring creek. There’s plenty of property to build your personal home in the mountains. Shared well on property.